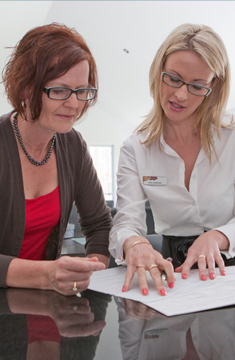 A property sale by negotiation is one of the most common methods of property sale. To make an offer on a property for sale by negotiation a ‘sale and purchase’ agreement needs to be drawn up and presented to the seller. When your offer is submitted it will be presented to the seller (also known as the vendor), who will consider your offer including the settlement date and any conditions. They may either accept or reject your offer, or choose to countersign, in which case negotiations take place until an offer is made that is acceptable to both parties. It is not necessary for your offer to be unconditional in a ‘by negotiation’ sale, nor is there a closing date for offers. If you are not the only buyer engaged in negotiations with the vendor, then the real estate agent should make it clear you that it is a competitive offer situation. In this situation, you only have one chance to make an offer, so you should make the best offer you are able to.